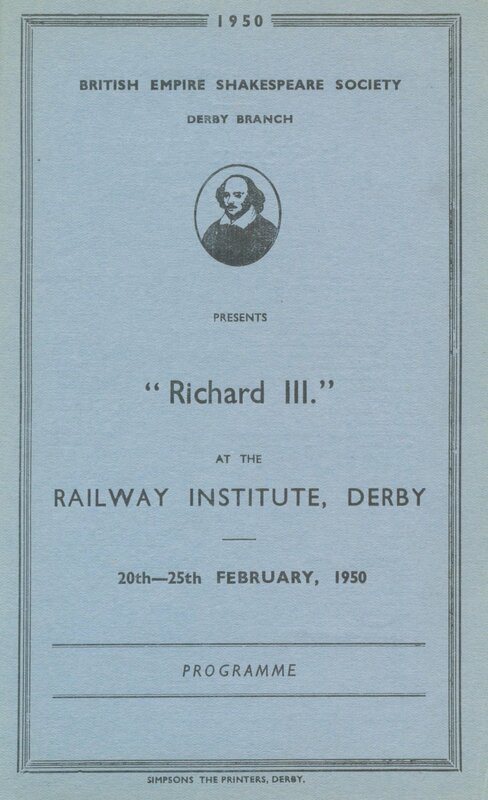 Our second production of the bloody history of the notorious King 'Richard III' came in 1950, directed by the team of George Revill and Douglas Marsden. This production was notable for featuring one of our young members in the role of Edward, Prince Of Wales - Alan Bates. The renowned stage and screen actor appeared in several of our productions as a young man and remained a friend and supporter of the company for the rest of his life, even returning to voice the Oracle in 1997's production of 'The Winter's Tale'. The meeting room at Shakespeare House is named The Alan Bates Room in his honour.